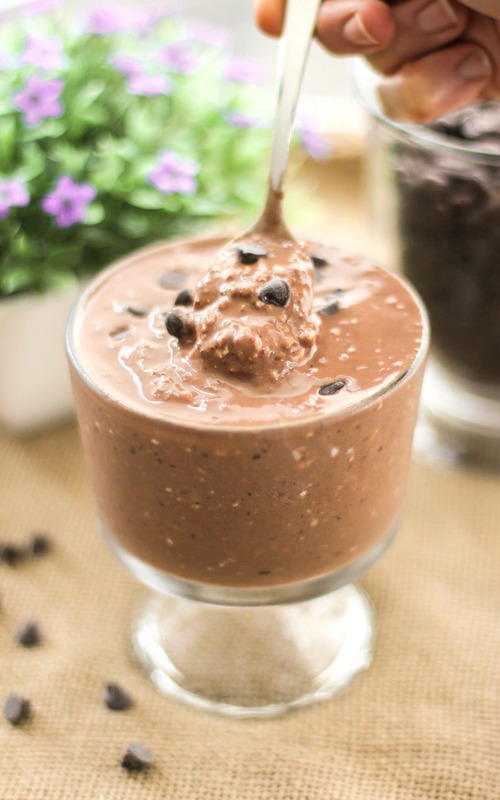 Healthy Brownie Batter Overnight Dessert Oats! It’s like brownie batter and oatmeal had a baby. A delicious, thick, creamy, chocolatey, and sweet baby. It’s hard to believe this chocolate decadence (for breakfast, might I add!) is totally good for you and guilt-free… not to mention, sugar free, low fat, high protein, high fiber, gluten free, and vegan too. Don’t worry, though. 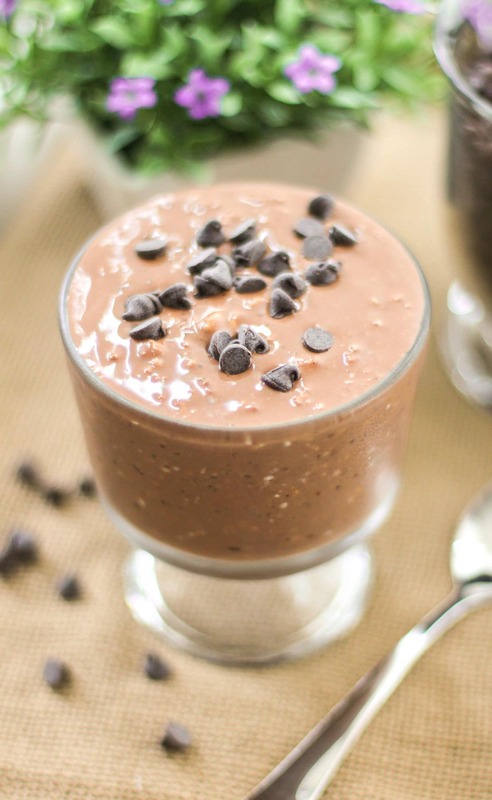 These Healthy Brownie Batter Overnight Dessert Oats are totally good as is. These Brownie Batter Overnight Dessert Oats are delicious, thick, and creamy. 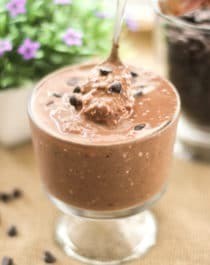 It’s hard to believe this chocolatey decadence is sugar free, low fat, high protein, high fiber, gluten free, and vegan too. In a bowl, stir together the oats, protein powder, cocoa powder, flax, sweetener and salt. Stir in the milk. Cover and refrigerate overnight. Now that’s what we call a healthy balanced breakfast. I am eating this as I write. It’s so good and so rich I feel like I’m actually eating something I shouldn’t be. I added a banana to mine…..a banana drenched in brownie batter…….because with this recipe I can. It’s 9 points on WW using Muscle Milk chocolate flavored protein powder. I don’t have access to the brand you used. LOVE your blog and I will be praying that you get your funds to get your bakery open soon! A strawberry-chocolate version is bound to be amazing too. Thanks for commenting and letting me know! I just wanted to let you know that I have been following your recipes extremely closely and have had so much fun doing it. I’ve already lost 20 pounds and have found such a passion for baking trough you. I really appreciate you always posting such delicious and healthy new recipes. This is probably my new favorite recipe now. Thank you again for always posting them, I hope you open your bakery soon, I will definitely be a loyal customer.